These figures are called the "Dragon Sword Fighter Force", but that's just to get around the copyright police. 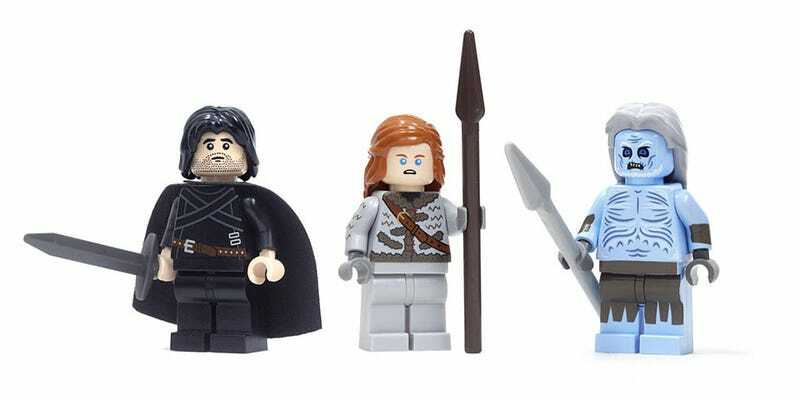 These are Game of Thrones LEGO minifigs in everything but name, and yes, you can buy them. There are four three-packs available, each with a themed collection of figures. These really do look like official products, from the facial expressions to the quality of the accessories. Because they've got to be customised, though, this quality comes at a price: USD$55 for a pack of three, or USD$220 for the complete set. That's a lot, but then, the complete set also comes with a bonus George RR Martin minifig.